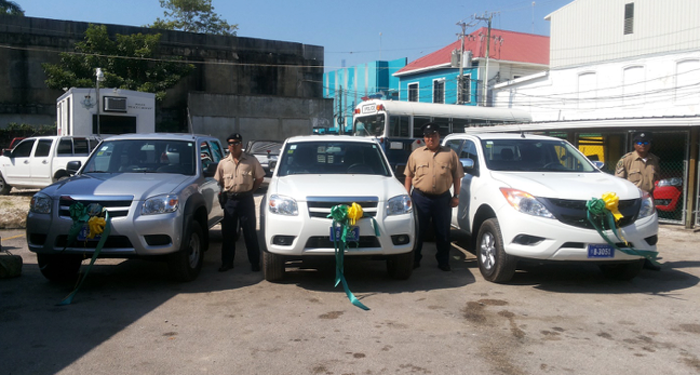 On February 3, 2016, the Belize Tourism Board (BTB) donated three (3) 2015 Mazda BT-50 pickup trucks to the Belize Police Department, for the dedicated use of Tourism Police Unit’s (TPU) transportation needs in fulfilling its mandate to address the needs of the tourism industry. Present for the handing over were Hon. Manuel Heredia Jr. – Minister of Tourism and Civil Aviation, Hon. 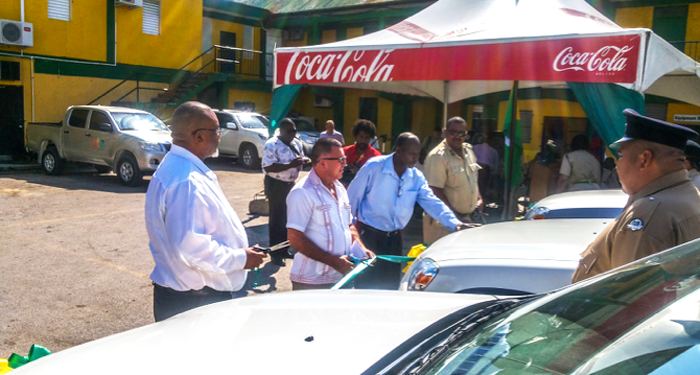 John Saldivar – Minister of National Security, and Mr. Allen Whylie – Commissioner of Police. enable rapid deployment of officers in times of crisis, such as crimes against tourists, accidents, etc. These vehicles represent part of the tourism industry’s commitment to visitor safety and security. TPU presence, and thus enforcement of the laws of Belize, will help to ensure a safe visitor experience in Belize. One of the vehicles is earmarked for the Western Region.